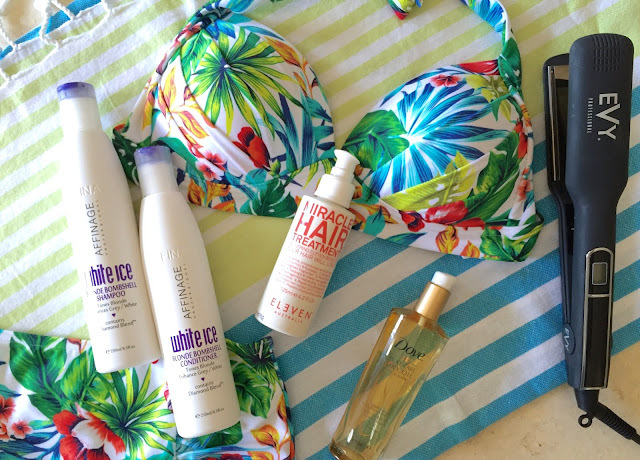 Time for part two of my Travel Beauty series, featuring some of my favourite hair care products and tools! These lovely products came with me to Fiji in September this year, and are stand outs in my routine at home. As I said in Part One of this series, which covered my skincare picks, the things I bring with me are tried and tested and loved, and are generally products that I don't want to be without! When it comes to travel, it is definitely easier to invest in a little set of travel bottles and pots that you can decant your beloved products into for your trip. The brand Manicare make a great little set which is reasonably priced, and Sephora also sell refillable little bottles ideal for travel. I have highlighted, medium length hair that is fine in texture, thought there is a lot of it. I am a huge devotee of purple/blue shampoo's that tone down the natural brassiness of my hair, lightweight conditioners and treatments, and gorgeous smelling hair oils. If you'd like to see what came with me to Fiji, then please keep reading! 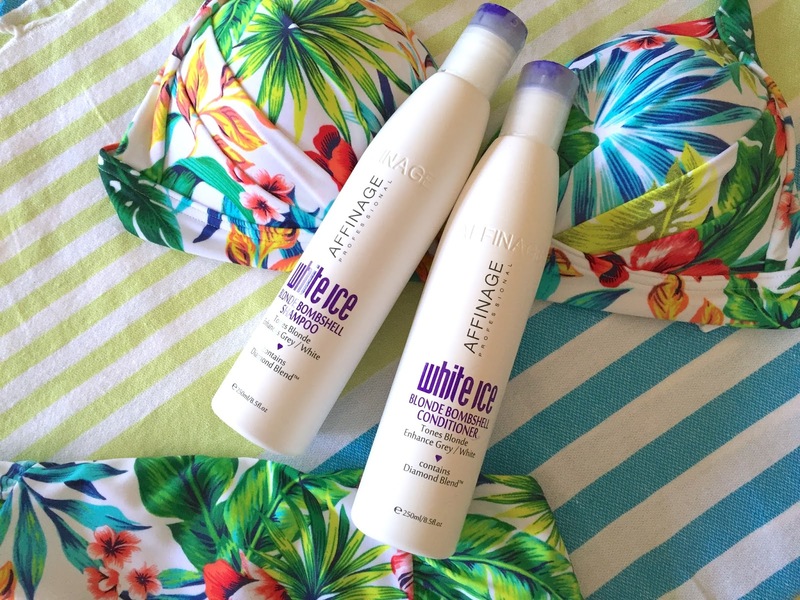 Affinage Professional Blonde Bombshell Shampoo and Conditioner. Affinage Professional Blonde Bombshell shampoo... look at that pigment! 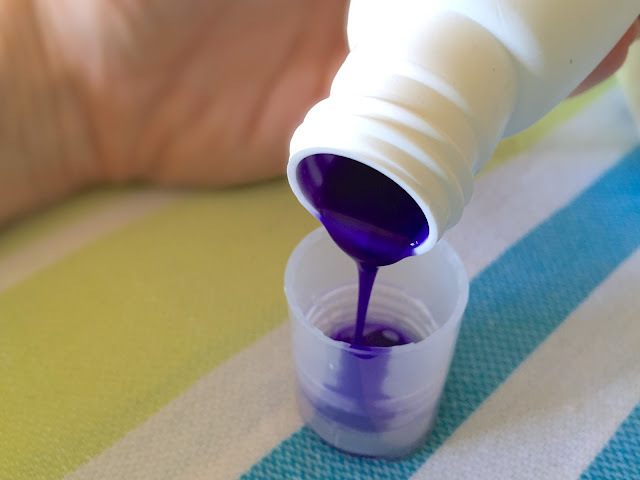 Many years ago, my very first, and much loved hairdresser ( and friend ) recommended using a purple/blue shampoo to help counteract the gold/brass undertones in my hair. She sadly moved interstate a number of years ago, and I have never quite forgiven her! Moving on... the emphasis is really on your shampoo, because you can distribute it evenly throughout your hair, and the act of massaging it in means that you're really helping the pigment to work into the hair. Many people typically only apply conditioner to the mid lengths and ends of the hair, meaning that if you are only using a toning conditioner, you are really only treating those areas, giving you a patchy result. Some brands of blonde shampoos are lucky to have the lightest tint of lavender, and really achieve very little ( aka waste of time, don't bother ). What you need is a shampoo with good pigment... you can see in the photograph above what I am talking about, and it is one of the reasons why I love the Affinage Blonde Bombshell range. It neutralises the brassiness perfectly, without making my hair look dull or too ashy. My local hairdresser stocks the full Eleven Australia range, and my gorgeous stylist used the Miracle Hair Treatment on my hair many months ago during a visit, prior to styling my hair. The first thing you will notice about this leave in treatment is the fragrance... it immediately transports to you to the beach with it's sweet, tropical Pina Colada scent, and it is likely the reason that I purchased it immediately! Aside from it smelling so darn good, it is a lightweight treatment that protects, smooths, detangles, and nourishes... pretty much everything that you want a leave-in treatment to do for your hair. It also contains amino acids, giving your hair the strengthening benefit of proteins. I work about 3-4 pumps through my damp, freshly washed hair and comb it through. Utterly lush. Highly recommend! Having tried many different brands of hair oils over the last couple of years, I have found myself more than content with this offering from Dove ( love me a bit of Dove ). Next time you have a minute, check out the ingredients list of some of the more popular, and more expensive hair oils. You will notice mostly silicones. Now, there is nothing wrong with that, silicones add to the cosmetic aspect, leaving hair soft and smooth, however Dove Pure Care Oil also contains, Coconut Oil, Macadamia Oil, Sweet Almond Oil, and Sunflower oil, which all provide nourishment and fantastic hydration for the hair. Dove Pure Care Dry Oil retails for $19.99 AUD, which is less than half the price of the well known competitors. I purchase mine from Priceline Pharmacy. And yes, it smells gorgeous too! 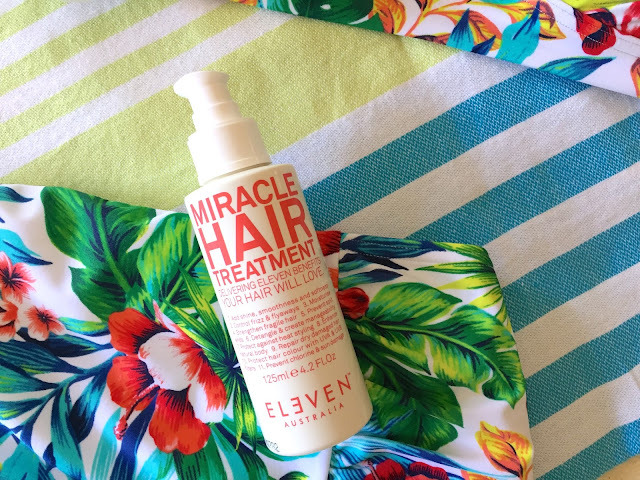 I dispense about 3 pumps into my palm, rub it between my hands, and then distribute through the mid-lengths to the ends of my hair, after my Eleven Miracle Treatment. It smooths flyaways, softens, and gives my hair a beautiful shine. I have also used it on the ends of my hair as a pre-wash treatment, applying the oil and then popping my hair up into a messy bun for a couple of hours. Works a treat. Give it a try and let me know what you think! Yes, EVY had to come with me to Fiji. 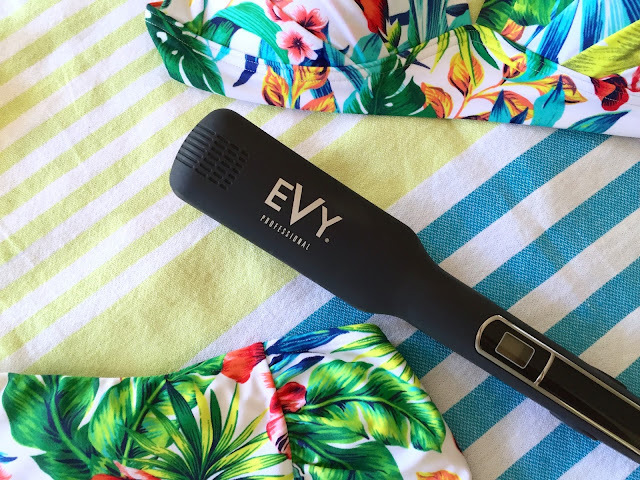 If you have not read my full review of this brilliant, EVY Professional hair straightener check out my post here. It's plates are a blend of metal and ceramic, and contain 32 minerals which infuse the hair with moisture as your style. It sounds too good to be true, but it really works beautifully, leaving my hair straight, smooth and glossy. In the photograph below, I have used it to create some loose, beachy waves. Love my EVY, and would highly recommend her! What are your current go-to hair care products? Please leave any recommendations below... you know I always love trying new products!! I'm on to my second coffee, because some mornings are just like that aren't they? Following a recent, unfortunate reaction to a product, I have been trying to pare down my skincare routine a little. Over the last 3-4 weeks, I have introduced some new products into my routine, both morning and evening, which I have been thrilled with. Today, I'll focus on my morning routine. It is quick and fuss free, and is just ticking all the boxes for my oily/combo/acne prone/ageing skin at the moment. You may have seen my recent post about my travel skincare choices, I still love and would recommend all of those products. Being the beauty nerd that I am, I do love trying new products, and when I find good ones, I have to share them with you! Now...I am not a morning person. At all. There are many mornings, whilst trying to get myself and four children ready for school/preschool, that I am pressed for time. I can honestly say, that if I neglect my morning skincare, then it will certainly show over the next few days. My skin will look dull, dehydrated and congested. Keeping the products to a minimum, and using products that are gentle, hydrating and protective is key for me. This routine takes me no more than 4-5 minutes, sometimes less...and is always accompanied by a fresh coffee. The Morning Line Up....and coffee of course! RosehipPLUS Organic Daily Cream Cleanser 150ml RRP $16.95 AUD. The RosehipPLUS Organic Daily Cream Cleanser landed on my beauty desk towards the end of September, and is a new addition to the RosehipPLUS range, which includes their Hydrating Day Cream, Nourishing Night Cream and their beautiful organic, cold pressed Rosehip Oil, which I adore. Sometimes I have a feeling that I know I am going to love a product, and that is how I felt about this cleanser. If you have been reading my blog for a while, you will know that I prefer a non-foaming gel, or cream cleanser for my morning cleanse. 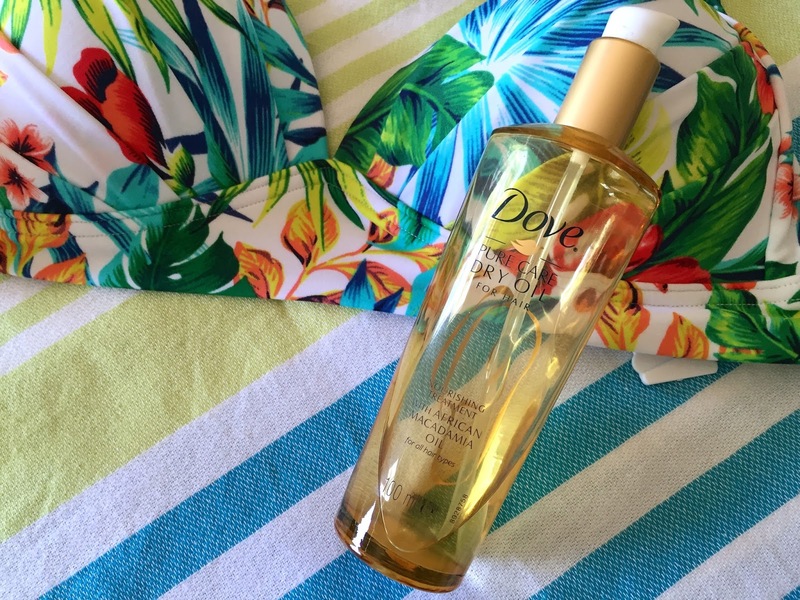 If I wake up looking parched and dehydrated, I will often reach for a lightweight oil. I have no problem using oils or cream cleansers of a morning, they don't need to be restricted to evening/makeup removal at all. 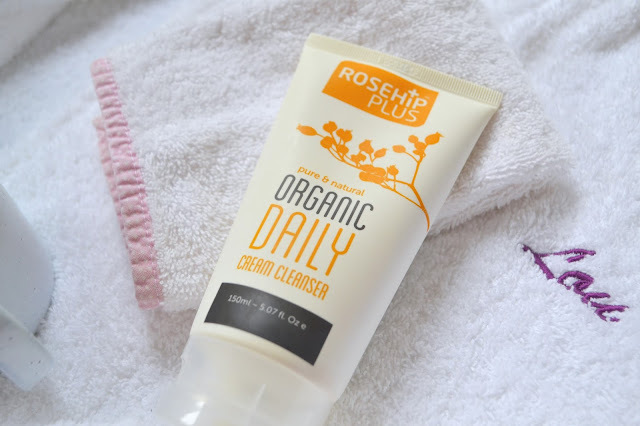 The RosehipPLUS Organic Daily Cream Cleanser has a base of Aloe Vera Leaf juice, Coconut Oil, Jojoba Seed Oil, Sea Buckthorn Oil and Rosehip Oil, along with soothing and anti-inflammatory herbal extracts. Its texture is thick and luscious. I apply it to my damp face, and massage it in for around 30 seconds, emulsify with a little water, and then rinse it off with lots of lovely warm water. Due to its high oil content, I also follow up with a warm flannel. I can't help myself... love a warm flannel on ma face! My skin feels clean and comfortable, soft and glowing. This cleanser also makes light work of removing makeup, and I have double cleansed with this in the evening to test it out, and it does a stellar job. Put this one on your list. It is gentle, effective and affordable. Love. 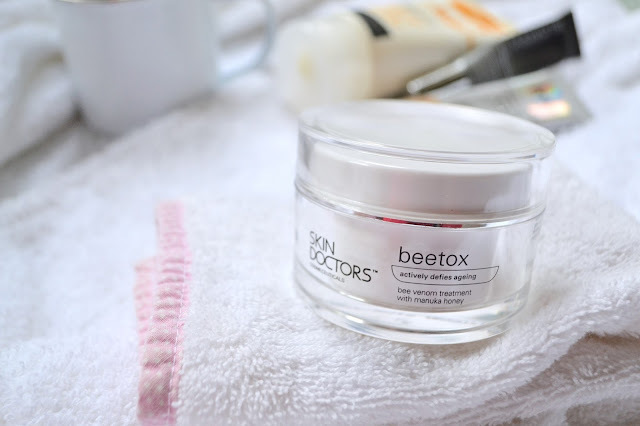 Skin Doctors beetox - RRP $59.99 AUD. I am currently on a mission to boost my skin's collagen production. There are a couple of products that I have employed to aide in my mission to plump up my skin, and help to make me appear a little less haggard and a little more fresh! Skin Doctors beetox is one of them. An issue I face as an oily/combo skin girl, is finding a product that will hydrate my skin during the day,without feeling to heavy, or causing my makeup to slide off my face 2 hours later. I also look for products that will provide anti-ageing benefits, and some formulas designed for more mature skins often assume that your skin is also dry skin, and are just way to emollient for me. One of the first things I noticed about beetox, apart from the fact that it smells lovely, was how lightweight it was. It feels more like a lotion than a cream on the skin, and feels just beautiful. It is hydrating and refreshing, absorbs quickly, and provides a beautiful base for makeup application. The anti-ageing aspect of beetox, is the inclusion of the compound melittin from Bee Venom. Skin Doctors state that when used cosmetically, bee venom "fools the skin into thinking it has been lightly stung, stimulating the production of collagen and elastin". So, in a similar way to the Homedics Newa device that I have just reviewed, and topical exfoliating acids, and skin needling treatments.... the idea behind it is to create a mild wound healing response in the skin, giving the old collagen and elastin production a kick up the backside so to speak, and aide in cell renewal. Skin Doctors beetox is designed as a skin treatment, that you then follow with a moisturiser and/or sun protection of a morning. I find it perfectly hydrating for me, and don't feel I need to add any further moisture to my skin. I do apply a CC cream with a high SPF in my next skincare step. 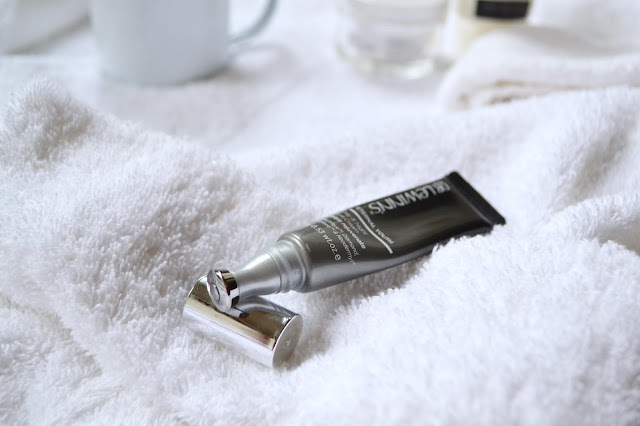 If you have drier skin, then you might like to layer a moisturiser over the top. I also love that it contains manuka honey, an ingredient that I love in my skincare, which has natural antibacterial properties, and is also nourishing and healing for the skin. It sits in what I would call a medium price bracket, at $59.99 for 50mls of product. I will continue to use it, and keep you updated, but I am certainly finding it to be contributing to my skin looking brighter and feeling plumped and fresh. It is worth the money in my humble opinion. IT Cosmetics Your Skin But Better CC+ SPF 50+ Shade Light RRP $58.00 AUD. Whilst I have featured the IT Cosmetics Your Skin But Better CC+ Cream on my Instagram on many occasions, I have not yet chatted about her here on my blog. Rather remiss of me, as this is the second tube I have purchased, and it has been a favourite of mine for almost 18 months now. 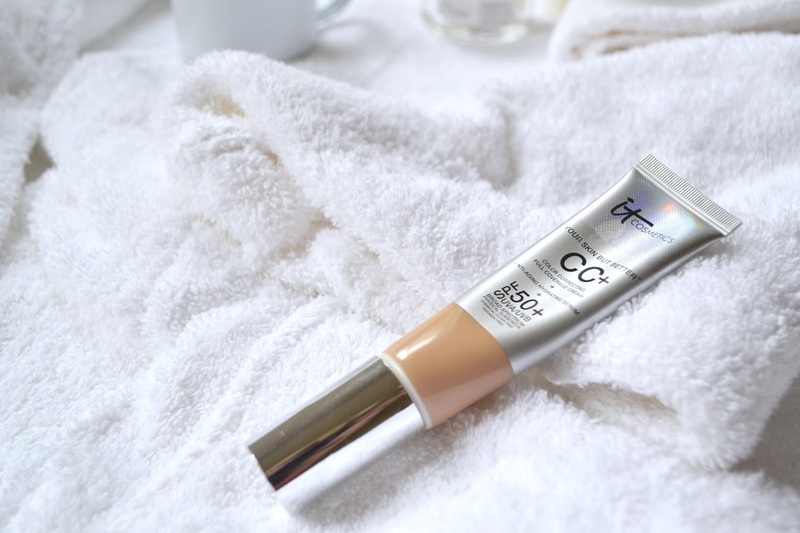 Following my Skin Doctors beetox treatment, I go straight in with this CC cream. There are several reason why I love it. It has beautiful coverage, I would say somewhere between medium and full coverage on me, as I have a lot of pigmentation. It blends beautifully, smooths over my large pores and fine lines, and has a lovely satin/glowy finish on the skin. It just makes my skin look better! It has a broad spectrum UVA/UVB SPF 50+ physical sunscreen, which is brilliant. There isn't much point in using good skincare, boosting cell renewal, and promoting new collagen if you are not going to protect all that lovely fresh skin. This CC cream also contains a plethora of anti-ageing ingredients, giving you added skincare benefits, along with it's great coverage and SPF protection. On a day to day basis, and for incidental sun exposure this is perfect. If I know I am going to be outside for long periods, I will apply a designated sunscreen, my current favourite is Alpha-H Protection Plus, and top it with the IT Cosmetics CC Airbrush Powder Foundation SPF 50+, another huge favourite of mine. In the winter months, this CC cream lasts beautifully on my skin, though in the warmer months the longevity is somewhat less, as my skin naturally produces more oil, and the level of humidity rises. I have found that using the Skin Doctors beetox underneath it really helps it to wear well, an incidental, but highly pleasing discovery! In terms of price for us Aussies, it is in line with a lot of higher end foundations, and can be purchased from our lovely Sephora Australia. As I have mentioned, I have purchased and re-purchased this CC cream, and would not hesitate to spend my money on it again. Highly recommend!! Love!! Do tell me what products you love to use in the morning? I would encourage you to add in a simple morning skincare routine if you haven't already, you will absolutely notice a difference in your skin...and don't forget your SPF! Disclaimer: RosehipPLUS cleanser and Skin Doctors beetox are PR samples. It Cosmetics CC cream purchased by me. All opinions, thoughts and experience shared are my own, and may be different to yours. Cheers xo. 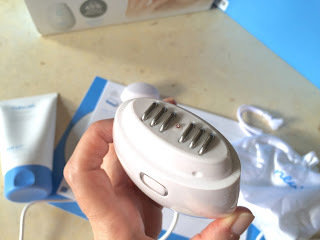 When it comes to skincare gadgets, I must admit that I am very much a newby. Whilst many people swear by their Clarisonics, Microdermabrasion and Light Therapy devices, I'm still hanging out with my enormous stack of fresh flannels and a shelf full of oils, balms and serums. To be honest, gadgets frighten me a little, and I think this is in part due to having acneic skin for the better part of 25 years. There is always an underlying fear of something causing a reaction. A bad reaction, typically an outbreak of cystic acne, can take literally months for my skin to recover from, not to mention the emotional effects that accompany it. Of course, this can happen with any new skincare product, the development of food allergies, and certainly hormonal changes and fluctuations. 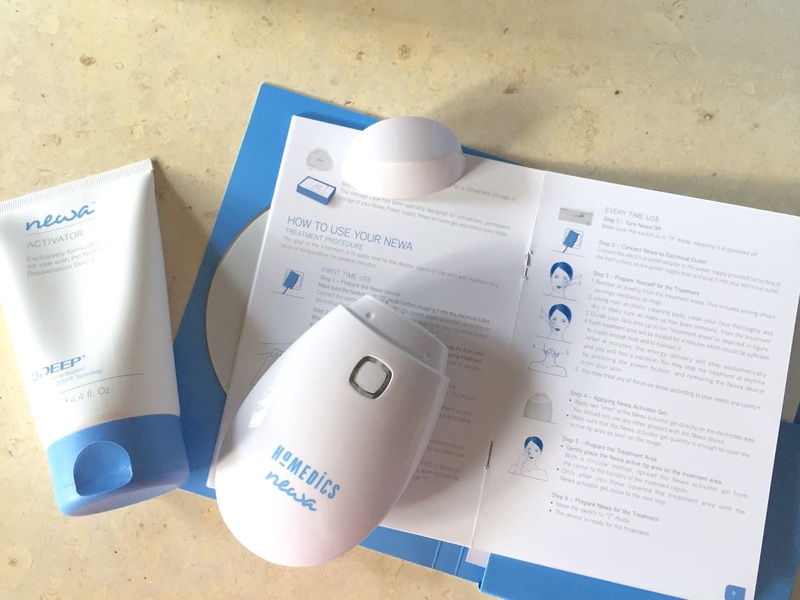 I was contacted some months ago and asked if I would review Homedics Newa, an at-home skin rejuvenation device. Newa is a non-invasive device that uses radio-frequency energy waves to deliver controlled heat to the lower layers of the skin, thus inducing a mild wound healing response. Part of this natural healing response is the formation of new collagen and elastin, which strengthens and plumps the skin from within, visibly reducing wrinkles and fines lines. Newa state that their 3DEEP technology acts on the the dermis, the lower layers of the skin, rather than the epidermis, the upper layers, tightening existing collagen fibres and stimulating your skin's own ability to produce new collagen.
" 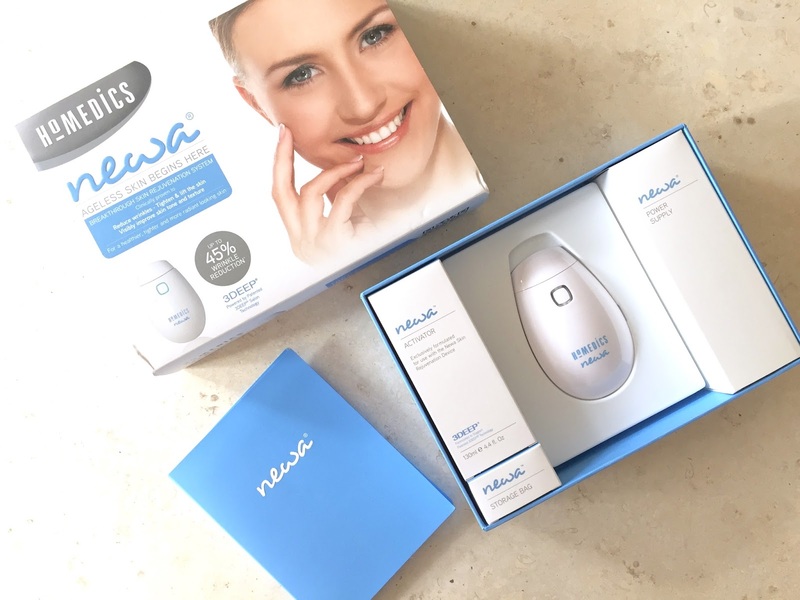 Newa, brought to you by Homedics, is powered by the same 3DEEP technology, proven effective by leading dermatologists and used in professional clinics both here in Australia and around the world. During treatment the 3DEEP technology penetrates controlled energy deep into the the skin tissue, stimulating the natural production of new, healthier collagen. 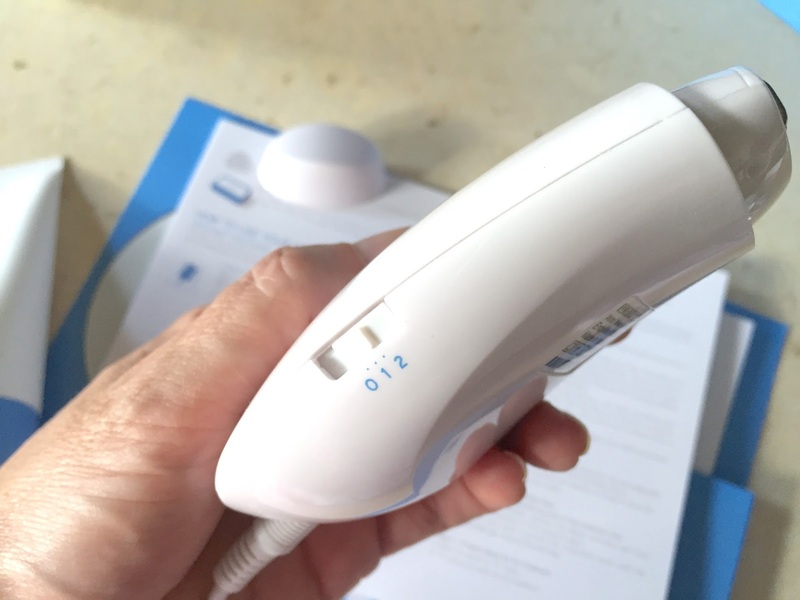 The Newa treatment , which can be used on all skin colours and types, brings the power of medical aesthetic treatment to the home, previously only available to individuals at a physician or dermatologist clinic". The Newa kit contains the lightweight, compact device, power supply, instructions, both written and provided on a DVD, and the Newa Activator Gel, which optimises the the delivery of heat beneath the skins surface, and also contains hydrating and plumping ingredients, which contribute to the initial plumping and firmness that is noticeable even after the first treatment. And yes, plumpness and firming were certainly noticeable after my first treatment. I am currently in what Newa call the "Boosting Phase" of the treatment, where you are required to use the Newa once a day for at least 5 days in the week, for a period of 4 weeks. The face is divided into 6 treatment areas, and each particular area is treated for 4 mins. Newa has a built-in timer, and the device will vibrate and then stop when the 4 mins has lapsed. In effect, you are looking at 24 minutes of treatment time, and a few minutes to set up and pack away, rinse your face and apply your skincare....it comes to around 30 minutes to complete the process for me. It is definitely something to factor into your day, you need to allocate the time for it and make a commitment. I have chosen to do my treatments in the evenings, as I generally have a little more time once my children are tucked up in bed. Setting up for the treatment is quick and easy. Plug it in, apply your Activator gel in two thick stripes, completely covering the electrodes, as is described in the manufacturers instructions. There are two settings on the device, 1 and 2. Setting 1 is a little more gentle, setting 2 is a little stronger. I started on setting 2, and have continued on setting 2 throughout my boosting phase. On a clean, dry face I smooth the activator gel that I initially applied to the device, evenly over the first treatment area. Press the blue start button, and start moving the device in circular motions over the skin. I can start to feel the warmth coming from the device immediatley . It sometimes takes 10-20 seconds for the blue light to change to green and start flashing, which indicates to you that the device is now delivering energy into the skin, and has reached the optimal temperature. Newa describe the sensation as a "warm massage" and I would agree with that. It is not lukewarm... you can definitely feel the warmth. On the areas of skin around my orbital bone, it actually would feel quite hot at times. If it does start to feel a little too warm for your comfort, Newa recommend to increase the size of your circular motions on the skin for a short while, respectively, if you can feel less warmth, make your circular motions smaller. It is not unpleasant or uncomfortable for me, and I find it quite relaxing to do before bed. Once I have completed the 4 min cycle, and the Newa buzzes and gives me a fright (nervous nelly I am!). I then apply another 2 strips of activator gel over the electrodes, and move on to the next section of my face, repeating the process until all six sections have been treated. It is undoubtably my preference to do my Newa treatments in my bathroom, in front of the mirror. I like to see exactly what I am doing, and I think when you are first starting your treatments it is the best place to do it. I have read some reviews of people that will do their treatments whilst watching TV, however, that's just not for me. If it works for you, go right ahead! Now that I am in my fourth week of treatment, I am very used to setting up and using Newa, and I find it very simple. I think you need the first week to get used to the device, and become familiar with the whole process. Once all areas have been treated, I clean and pack away the device, rinse all the gel off my face, and continue on with my evening skincare products. I have only noticed a slight pinkness, or flush to the skin during treatment, and it typically has faded with 10-20 mins for me. My skin feels really lovely immediately following the treatment. It feels smooth and plump, and looks fresh and radiant. Not unlike how your skin might feel after a facial at a salon. 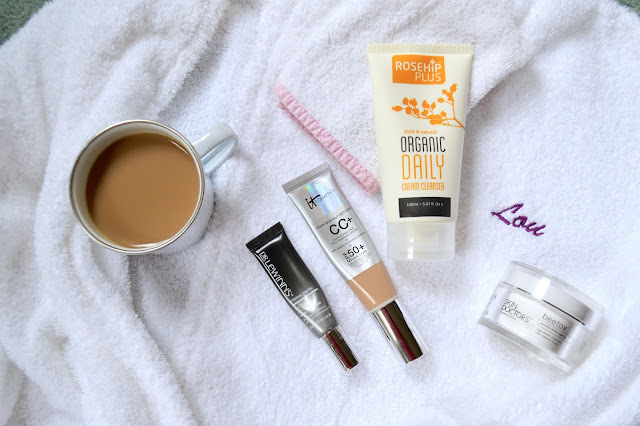 On the few occasions that I have done my treatment in the morning, I have continued on applying my morning skincare and makeup straight away, with no residual redness or flush visible on my skin. In fact, my makeup applies beautifully, and I have often thought that a Newa treatment would be a lovely skin prep before a big event. It is with some trepidation ( aka I'm completely terrified and having palpitations ), that I publish photographs of my naked face on the internet, but I believe them to be most helpful with this type of review. All photographs were taken by me, not a stitch of makeup on, and no editing. Please try to look past my awful pigmentation, and let it be a good advertisement for using sunscreen every day! Part of my pigmentation is related to my four pregnancies, and the remainder is sun damage. You may be in your early 20's or 30's and reading this... let me tell you, the damage done by the sun emerges as time marches on. You may not see it now, but look in the mirror when you are 40, and you will, unless you start protecting your skin with a Broad Spectrum UVA/UVB sunscreen now. It terms of signs of ageing on my face, my areas of concern are around my eyes, smile lines (nasolabial folds), some loss of firmness in the lower section of my face and under my chin, and of course my forehead and frown lines (my worry lines). Newa is not designed to treat the forehead region, only from the edge of the orbital bone, upper and lower cheeks down to the jaw and under the chin. In a few short months I will be 41 years old. Right - 3 weeks into boosting phase with Newa. Hopefully you can see the improvement in the skin around my eyes, the side of my mouth, and a general improvement in skin tone and texture. I feel that my skin looks refreshed and plump. Right - Week 2 Newa boosting phase, taken immediately after treatment. I added this photograph on the right to show you my skin immediately following a treatment session. It has a slight pink flush only. You might also be able to see that skin around the side of my mouth and the apple of my cheek is looking generally firmer and more plump than the photo on the left. Left - Week 1 Newa boosting phase. Right - Week 3 Newa boosting phase and feeling fresh. I can certainly see a big difference in this photograph above. The upper cheek, lower cheek and jawline look firmer, my skin looks plump, and the fine lines around my mouth and under my eyes are noticeably reduced. I'm very pleasantly surprised after just three weeks! Following the 4 week boosting phase, it is recommended that you continue your treatments twice a week in order to see the best results, and that the skin will continue to gradually improve for up to six months following the treatment. I shall be posting updates over the coming weeks and months! My next post will be in 2-3 weeks time, and I shall measure Newa's claims against my results for the initial boosting period. Perhaps their biggest claim is a reduction in wrinkles by up to 45% after 12 weeks. Newa retails for $499 AUD. It is an investment in both time and money, and I am hoping to do my very best to help you decide if it might be something for you. I always find it challenging trying to decide how to spend my money... let's face it, there are pots of moisturiser on the market that are asking you to pay the same price as Newa, if not more. I think it is also important to be mindful that it is very unlikely that one single product, or one single device will ever completely and magically transform ageing skin on its own. It takes a village loves!! It is worth mentioning that I have changed a few things about my skincare routine over the last 2 months ( prior to starting the trial ) I have reduced my use of exfoliating acids ( I think I was overworking my skin ), simplified my skincare routine a little, and have very slowly been introducing a mild retinol serum over the last few months. I have maintained this routine throughout the trial without any changes. For more information visit the Homedics website here. Newa is available in leading retailers including Myer, Shaver Shop and Harvey Norman. I hope this has been helpful! 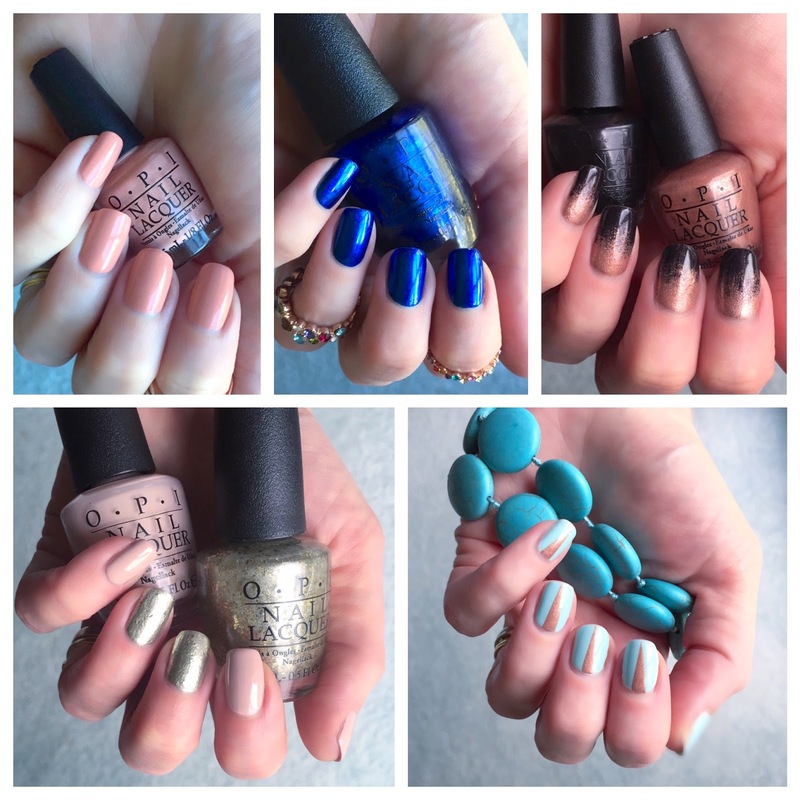 Do look out for my next post, hopefully I will have some more great results to share! Please leave a comment, or any questions below, and please don't be mean about my skin...I am only human you know. Disclaimer: I cannot compare the cost or effectiveness of Newa against in-salon procedures, as I have never had an in-salon treatment of this kind. These posts and reviews are not sponsored by the company, nor do I have any affiliation with any companies mentioned. As with any type of skincare device or product, individual results may vary, and my results may well be different to yours. Read/watch all literature and information provided with the device for your own safety. Newa was kindly provided by the company Kids Business for the purpose of trial and review.